Clearly there are instances when someone may be better off taking Social Security sooner rather than holding off until later for a larger benefit. For example, if your health is so poor that you're virtually certain you won't make it even into your 80s, then starting payments as early as possible could be the right way to go. Similarly, if you've effectively been forced into early retirement and have very little or no savings to tap for retirement living expenses, then you may have no choice other than to apply for Social Security as soon as you can, which is age 62. But such relatively extreme situations aside, it's hard to make a compelling case for taking Social Security as soon as you're eligible. And, frankly, I don't think your rationale that you'll do better by taking benefits as soon as possible and investing them rather than delaying for a higher Social Security payment down the road is very compelling. Related: Safe retirement investments that yield 7% a year? If you start taking benefits at 62, however, your payment will be cut by 25%, which means you'll collect $18,000 a year. Since Social Security benefits are adjusted for inflation, let's also assume that your benefit increases by 2% a year for inflation. To follow your plan, you would invest the four years of early Social Security benefits you receive, socking away $18,000 at age 62, $18,360 at 63 ($18,000 plus 2%), $18,727 at 64 ($18,360 plus 2%) and $19,102 at 65 ($18,727 plus 2%). If we assume a return of, say, 6% a year (which I consider pretty generous given today's low yields and the low returns many investment pros are expecting), you would end up with an investment stash of $85,881 at the end of four years, just as you're turning 66. 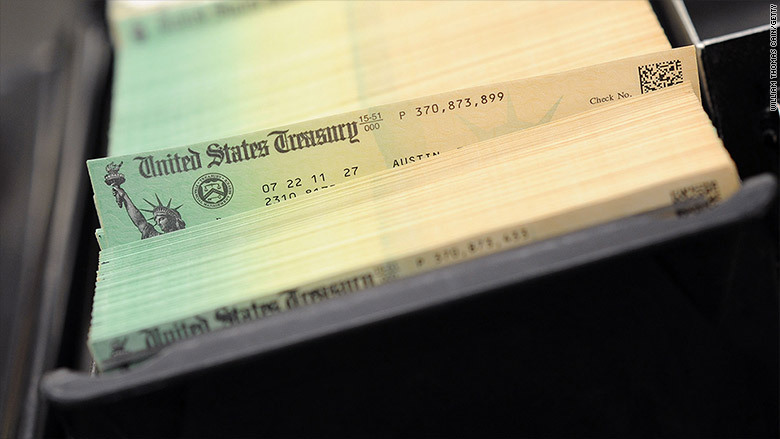 Now, you wouldn't have that $85,881 had you waited until you reach 66 to take Social Security. But you would be eligible for a much bigger starting payment of $25,978 (the full retirement age benefit of $24,000 in today's dollars, plus annual inflation adjustments of 2% for four years). That payment is $6,494 more than the $19,484 you'll actually get at age 66 (your age 65 payment of $19,102 plus 2% inflation) because you started collecting benefits early. Each year, that gap between the payment you receive and the payment you could have had by waiting will grow in dollar terms. In this example, the payment you get will be smaller by $6,625 at 67, by $6,757 at by 68, $6,892 at 69 and so on. So the question is, how long will the investment stash you built with your early Social Security payments that are earning 6% a year last if you pull enough from it each year to make up the difference between the smaller payment you're getting and the larger payment you would be receiving had you waited till 66 to collect? The answer in this scenario is 21 years, at which point you would be 83. That is essentially the breakeven point between starting at 62 and starting at 66. If you live to age 84, you would no longer have your investment stash and your Social Security payments for that year would total $27,828, or $9,276 less than the $37,104 you would receive had you waited until full retirement age to collect. Each additional year you live and are stuck with the smaller payment, you'll fall further and further behind where you would have been had you delayed benefits. Of course, if you die before age 83, then you'll come out ahead (or your heirs will) because you'll still have some of that investment stash left. But what are chances you'll die before hitting 83? You can't know that for certain, but you can get an idea by going to the new Actuaries Longevity Illustrator tool created by the American Academy of Actuaries and the Society of Actuaries. According to the tool, a 62-year-old man of average health has a 50% probability of living 23 more years to age 85; a 25% chance of living 30 more years to 92; and, a 10% chance of living another 35 years to age 97. The probabilities are higher if you're in above-average health and also higher for women than men. Based on those estimates, I'd say it's pretty clear that, absent some concrete knowledge that your lifespan will be unnaturally short, you would be better off abandoning your plan and instead holding off for a higher Social Security benefit at full retirement age, or possibly even later. Related: Should I take my pension in monthly payments or a lump sum? Ah, but what if you invest more aggressively, as you seem willing to do? Well, if you assume you'll earn 8% a year, the breakeven point stretches out to age 91, which makes your strategy appear more attractive. But to have a shot at that return, you'd probably have to go with a high-octane portfolio of 100% stocks, or something close to it, which would leave you highly vulnerable to market setbacks. And even if you achieved that 8% annual return, you still may not come out ahead if you're one of the a 25% expected to live to age 92 or the 10% projected to make it to 97. To my mind, embarking on a highly volatile investing strategy and counting on such a lofty return is unrealistic, especially for someone in retirement. Why take the risk when the alternative -- a Social Security payment that goes up by roughly 7% to 8% for each year you delay between age 62 and 70 (after which you get no more increases for delaying) -- is not only simpler but a sure thing? I'm not suggesting that you make your decision solely on the basis of this example. Clearly, you've got to take your particular circumstances -- your health, the size of your nest egg, what other resources you have to fall back on, etc. -- into account. If you're married, there are even more issues and options to consider. For example, if your spouse will be counting on a survivor's benefit after you die, going for that smaller early benefit could relegate your spouse to a lower payment for life after you're gone. Although new rules that went into effect at the end of April will prevent married couples who aren't already doing so from taking advantage of one Social Security claiming strategy that can increase joint benefits -- file and suspend -- there are still other ways spouses may be able to better coordinate how they file and maximize how much they receive. Related: Should you follow the 4% retirement rule? Given the important role Social Security plays in creating a retirement income plan, it pays to become as familiar as you can with how the system works and the options available to you. The Boston College Center For Retirement Research's Social Security Claiming Guide can help on that score, as can going to Financial Engines' free Social Security calculator, a tool that can suggest claiming strategies for singles and married couples. For a more comprehensive analysis of your options, you may want to check out one of the services that charge a fee, such as Maximize My Social Security or Social Security Solutions, or perhaps even consult a financial adviser. Ultimately, Social Security isn't just another source of retirement income. It's more like an insurance policy designed to help you maintain your standard of living in retirement and protect you against the risk of running out of money if you live a long, long time. I'd be wary of eroding the value of that protection for a strategy that's likely to pay off only if you happen to die relatively early and/or your optimistic investing strategy comes off without a hitch.